In this Sept. 16, 2017, file photo, Erykah Badu performs onstage during the Meadows Music and Arts Festival - Day 2 at Citi Field in New York City. Erykah Badu claims her words were "misconstrued" in the wake of a controversial interview in which she said she sees a "good" side to everyone, including Adolf Hitler. 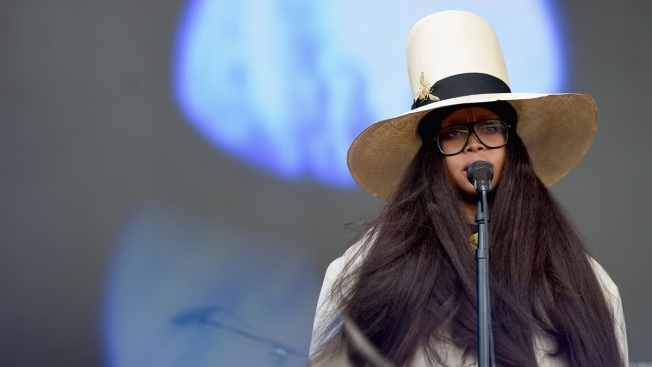 In the 20 years since her groundbreaking debut "Baduizm," Badu has continued to make music, been a doula and a TV host — including the Soul Train Awards on BET — and producer. Her last album was 2010's "New Amerykah Part Two."